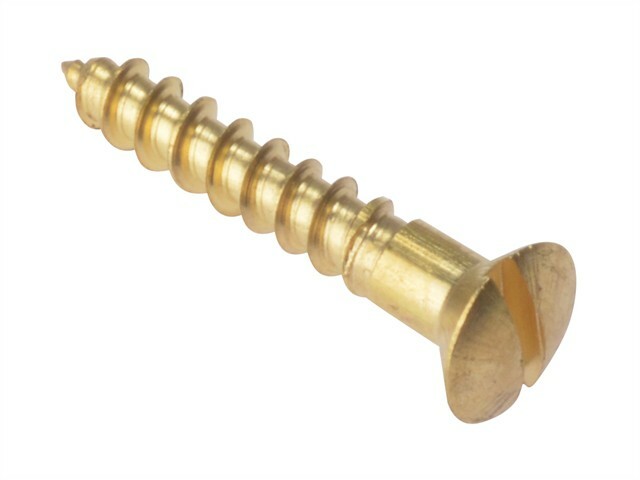 These ForgeFix traditional slotted, twin thread Wood Screws have countersunk heads and can be used in many internal and external applications. They have a solid brass construction to avoid corrosion. Used for both decorative applications and in applications where the screw may come in to contact with the elements avoiding corrosion. Raised head screws have both countersunk and raised structure, which is designed for aesthetic purposes on all types of ironmongery and lighting applications. The single threads have been designed to offer higher pull out values and quicker insertion.